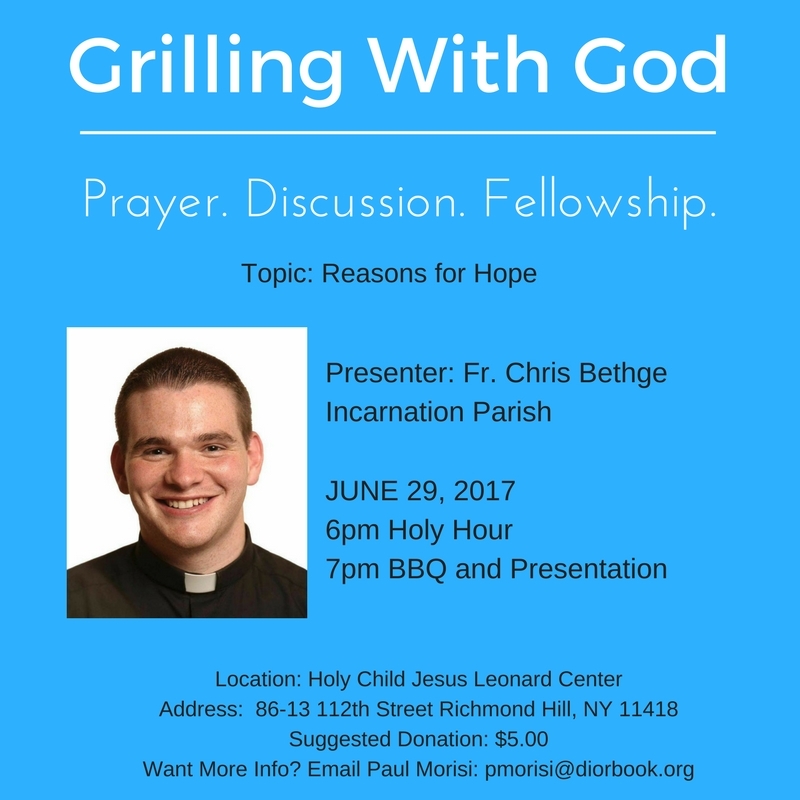 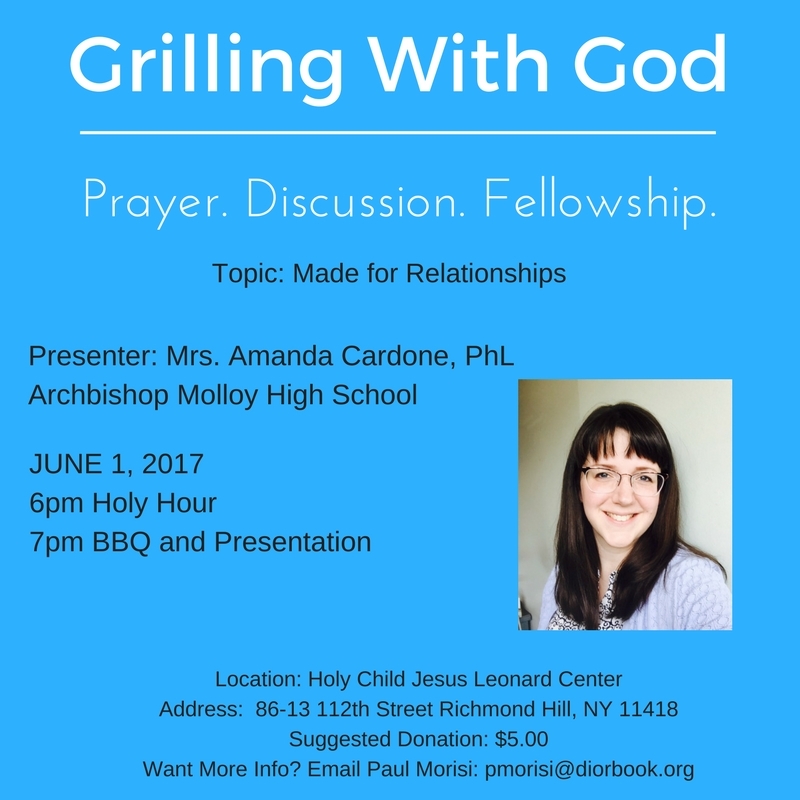 Richmond Hill is the place for young adults to connect with faith and friends on Thursday evenings this June as the Grilling With God Series returns to Holy Child Jesus parish for a seventh year. 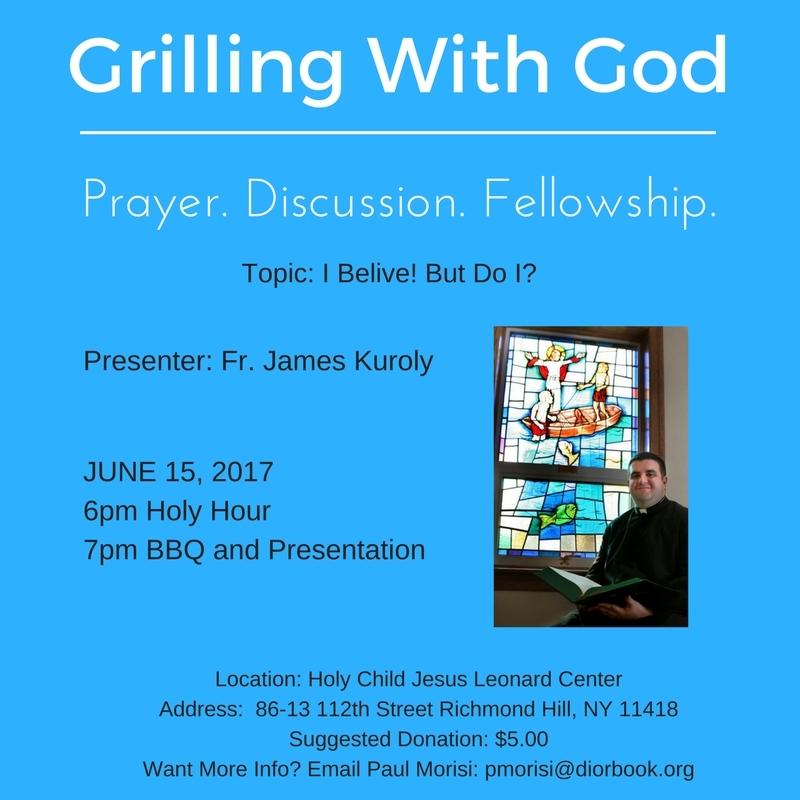 Single and married adults, ages 21 to 39, are invited to attend a 6 p.m. Holy Hour each week, followed by burgers and beers and then a presentation and discussion. 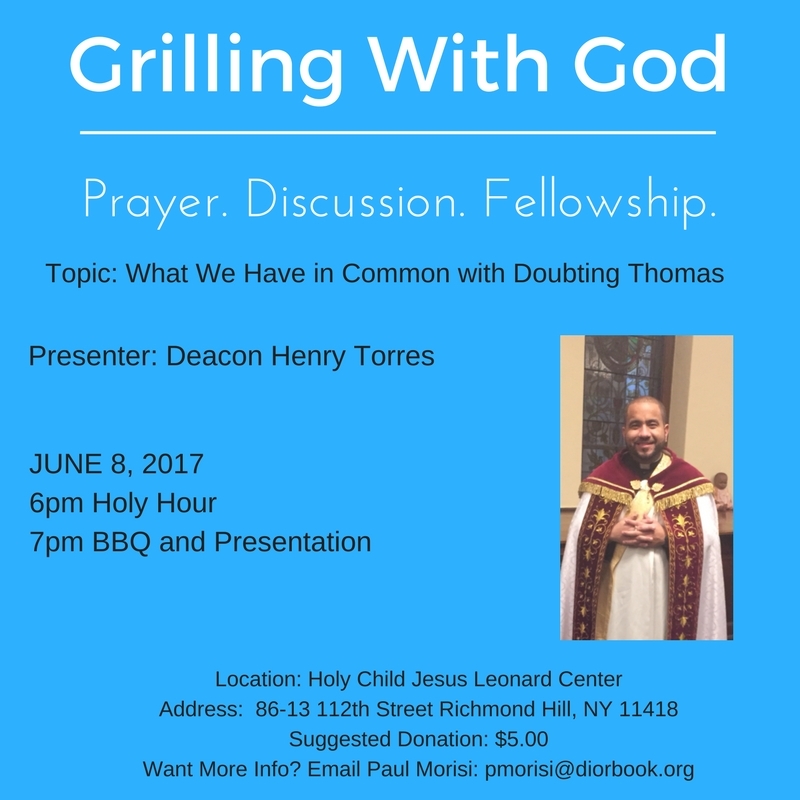 The suggested weekly donation is $5. 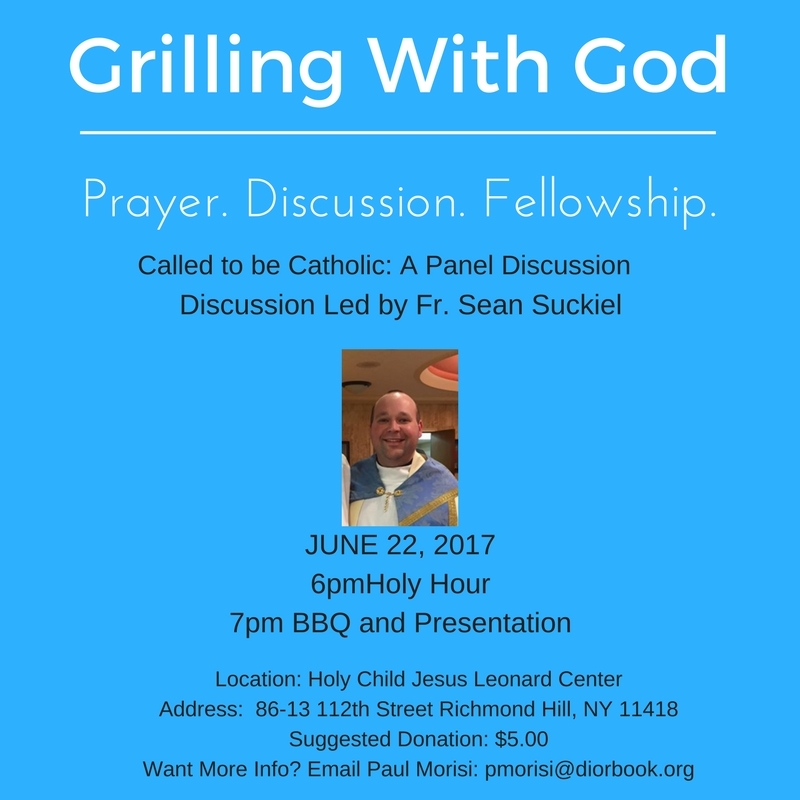 For more details, contact Paul Morisi at pmorisi@diobrook.org.